Sometimes our heart is in pain and we can´t get pass something someone has done to us. It can be a personal event. But, it can also be a global one such as all the events that are caused by war in our world. Holding others responsible, not forgiving, does not help anyone. 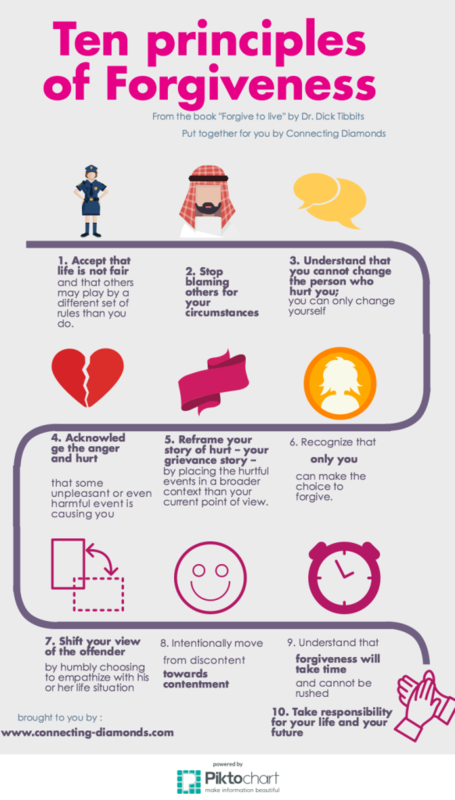 I´d like to share the 10 rules of forgiveness with you. May them help your heart heal and forgive to live. Please share this infografic AND share your thoughts with us in the comments.